Justin Newton has been an Insurance Broker for sixteen years, speaking exclusively to Business News Wales as he prepares to take the reins as Commercial Business Director of Towergate, Cardiff. Delving into his past endeavours as well as his plans for the new role, we gain a clearer picture of where the Welsh insurance market is heading. Can you give our readers a little background into yourself and your role within Towergate? As with most people working in the industry, I didn’t get ‘the calling’ from an early age. My career in insurance began with a temporary placement at a Local Authority office in 1997, handling insurance claims. From there, I moved to Hodge Insurance Brokers, assuming the role of Claims Handler. Following this I moved through dedicated support and account handler roles until reaching the role I enjoyed most; the Account Executive/Sales role. For me the most satisfying aspect of working as an insurance broker is the diverse set of businesses that I work with and the deep business relationships that I have built up over the years. From the conventional to the obscure, every business’ insurance requirements are different and it is that which keeps me fresh and on my toes. Following the acquisition of Hodge Insurance Brokers, Culver Insurance Services, Towergate Cardiff, Morgan Brokers, Wood Insurance Services and Underwood Insurance Services by CCV Risk Solutions part of the Towergate Group in 2008, I have seen that diversity grow and now feel as comfortable advising a small new business start-up as I do recommending insurance covers for multi-national corporations. 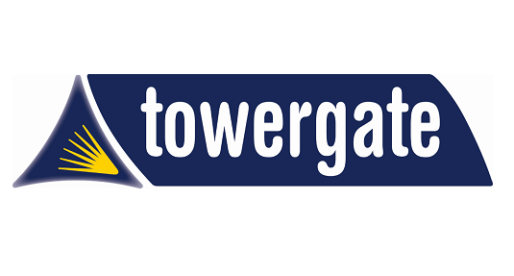 As of 14th August, we have rebranded each of the above businesses as Towergate and streamlined both our back office and processes to provide a much improved ‘one -team’ approach to delivering bespoke business solutions. As Commercial Business Director, I am now responsible for leading a team of 50 people from our office in Cardiff, who I truly believe are the best in the market. I also have the luxury of still working closely with my clients, some of which I have worked with since my first day at Towergate. As a representative of Towergate, one of the largest insurance brokers in the UK, I am tasked with improving brand awareness across Wales. At Towergate, we take time to get to know your unique business and its specific requirements; dealing everyday with local, national and international large corporations and SMEs. I want to ensure that Towergate becomes the go-to company for all businesses in Wales so that each not only benefit from our strong insurance expertise but from our firm relations with Insurers. I have been very fortunate during my time in insurance, and wouldn’t really change anything. What has initially felt negative has often turned into a positive. Don’t take yourself too seriously and never stand still. Innovation and the ability to approach each challenge with an open-mind will help you grow alongside your business. Another would be finding new ways to motive and inspire your team; taking time to recognise their achievements and listening to their concerns. For me it’s firstly all about having the ability to form a relationship with your client. In my opinion people can sense when an individual is insincere, and getting to achieve ‘trusted advisor’ status to your client helps to better understand your client’s needs and facilitates your ability to provide them with a more effective bespoke solution to give them peace of mind. Secondly your client needs to know that you are approachable and available at any time to help and offer advice. And finally, and perhaps most importantly is to make sure you have a close team around you as you cannot do everything on your own. Insurance is always evolving as new issues come to the fore. Whilst insurance is effectively an after the event rectification/remedy, we are looking to work with clients and prospects to identify ways in which they can improve to reduce their exposure in the event they suffer a serious loss through Business Continuity Planning and Risk Mitigation. With technology now an increasingly integral part of business, this increases the vulnerability of each business to electronic security threats; the most common issues being Data breach, Viruses, Hacking and Employee error. The General Data Protection Regulation (GDPR) will apply in the UK from 25th May 2018, and will place significantly more legal liability on businesses’ if they are responsible for a breach of ‘personal data’. In terms of mitigating these risks, we recognise that many traditional liability and business interruption insurance policies do not address the full range of risks associated with e-commerce and the internet and are recommending Cyber liability cover to our clients. This can help fill the gap in protecting businesses against your own losses as well as claims made against the business by others. Specific details of legislative and political consequences of Brexit on the Insurance Industry may take some time to surface, but as an Insurance broker it’s important for us to recognise the importance of Brexit in relation to an issue which is one of our key concerns now, the problem of underinsurance. In short if a business owner is underinsured for either their physical assets or for the impact of business interruption, the size of any claim settlement is likely to be reduced. The effect of Brexit could cause underinsurance if you have imported or would need to import a physical asset from overseas which is priced in a foreign currency, such as the Euro, but the sum insured for that asset on your insurance policy is in Sterling. Similarly, many UK businesses import goods and services from abroad. It is therefore likely that some of their costs have risen making some UK goods and services more expensive. It is a vital time to comprehensively review ‘new for old’ replacement costs covered by your insurance policy. Undoubtedly the main strength of Wales is its people and their resilience to change. Over the years increased technology and industrial revolution have changed the way we work and the types of work we do. Yet the people of Wales have always risen to the challenge; re-inventing and re-learning to establish themselves as a really important resource to the economy. Unfortunately, opportunities for Welsh businesses are still unevenly spread around the country and transport infrastructure and poor IT connectivity remain a disadvantage to some parts of Wales. Continue to maintain Welsh Government’s proactive approach to business, reaching out to UK-based companies as well as to foreign businesses. IT &Technology as a definite; closely followed by sales and marketing skills. How important is it for there to be a close relationship between business and higher education in Wales? Extremely important as these graduates are our future. Investing in good quality graduate schemes can only serve to enhance recruitment and training within the economy. We have been fortunate enough at Towergate to work alongside many institutions and is something I will be continuing within my new role. For more information on how Towergate can support your business’ insurance needs, head over to their website www.towergate.co.uk.